The text is the Road to Emmaus. Luke likes road trips. Chapters 10 through 19 are known as the road narrative as all the action is suppose to take place while Jesus is walking from Galilee to Jerusalem. The Emmaus Road I think is Luke’s poetic description of the Christian life. I don’t comment on in in the sermon, but imagine Luke himself for a moment. He interviewed all these people: Peter, John, James, Mary, Paul. All these people who knew the physical Jesus and testified to the resurrected Jesus. Luke knew him through them, and through the breaking of bread. Life is full of expectations. 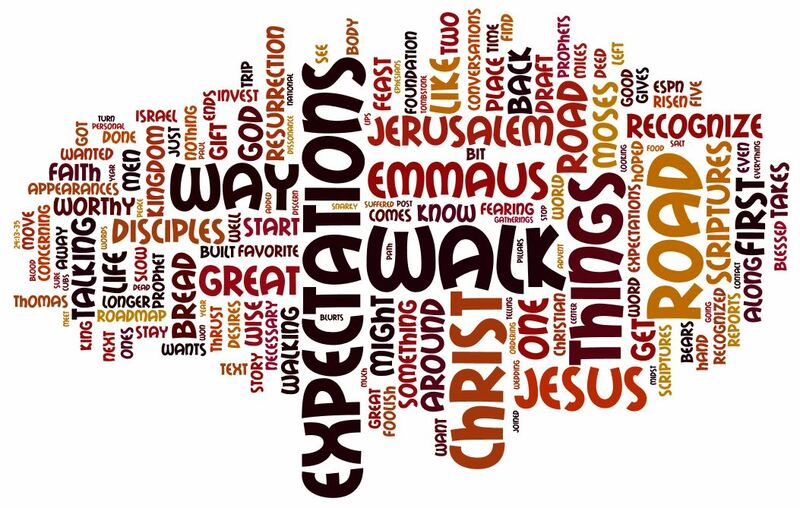 The road to Emmaus present in the sermon is how we have wise expectations instead of foolish ones. The main part of that is recognizing Jesus. And we are given to recognize him in the Sacrament and the Scriptures – Word and Sacrament. Our life here, after that recognition is a walk toward the New Jerusalem. Now the walk and the witness, next year in Jerusalem. And as on of the metaphors has it in the sermon, next year happens. I’m a Cubs fan. It does. The text is concerned with a couple of items. First it is concerned with the literal physical resurrection – “touch and see!” Second it is concerned about how those not part of that first generation of apostles can be sure of that experience. Jesus supplies the answer in the written word and the witness of the apostles. 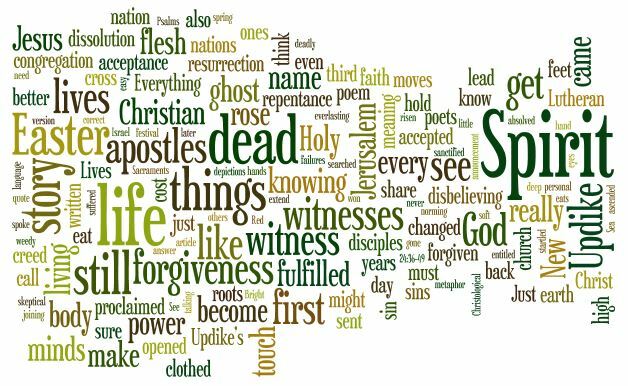 That witness of the apostles becomes word and sacrament, forgiveness of sins and what we know as the new testament. We share those with those first apostles. We also share the Holy Spirit, the “Power from on High”, that testifies to the truth of Word and Sacrament. The moral question of Easter is that we have heard these things. We know the story. We have experienced the witness that Jesus says is good. Are we changed by that? The reactions of the disciples in the text give us three levels of reaction. Startled and frightened thinking it a ghost. Just a ghost in the machine. Joy and marvel at the announcement but still disbelieving I’m spiritual, but I’m not sure about being a disciple. Minds open to the scriptures and we are the witnesses of these things. Has Easter changed you? That might be a scary thought, are we ever sure we are changed? Good news it is not us there either. We have been clothed with power from on high. The Spirit who spoke by the prophets still ensures that everything written is fulfilled including the salvation of the saints.